How long must a politician show repentance before they’re forgiven & regain our trust? 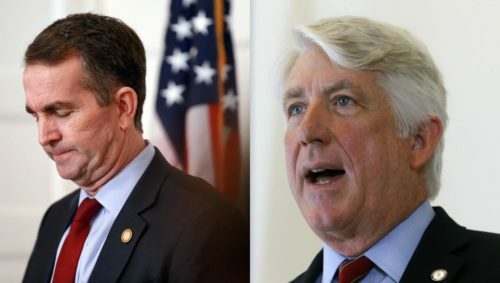 In the “Virginia Is For Lovers” state, not-so-loving admissions from two top Democrats, Governor Ralph Northam and Attorney General Mark Herring, have rocked Richmond, the capital city of the former Confederacy. Both men admit to wearing blackface at parties in your youth, and now they stand accused of perpetuating racism and increasing calls to resign. Unlike the clearly subversive potential of some other forms of parody to undermine questionable political, economic, religious, or cultural social constructions, blackface has few of these qualities. In fact, it reiterates and strengthens racist tropes. When people blacken their faces, they take on the persona of the image of the minstrel, the poor and thought-to-be ignorant and lazy servant of a white master race born to rule. Blackface was adopted in the United States by recently-arriving immigrants from Europe at a time when the socially-constructed category of “white” was highly limited to a small segment of western and northern European-heritage residents. This excluded many other nationalities now considered “white” such as Italians, Greeks, Slavs, and Jews of all heritages. These racially ambiguous non-white Americans complicated the racial binary and, by their very presence, challenged the “logic” of legalized segregation and white supremacy. Some of these new immigrants employed blackface in performances. With the obvious over-the-top aspects, they certainly were not attempting to “pass” as black. They did not use blackface as a subversive redeployment of the racial binary. It was obviously not a reflection of admiration and respect for black people. During its heyday, hundreds of whites painted themselves dark and imagined themselves as blacks. Certainly, the blackened faced, exaggerated and whitened lips and eyes, the overstated dress, speech, and mannerisms expressed racist underpinnings. Blackface also served various functions for European immigrant artists. Michael Rogin in his book Blackface, White Noise argues that the theatrical performance of blackface was anything but subversive. It was, rather, enacted to help catapult racially suspicious immigrants toward the white side of the racial binary divide. But to understand solely the racist aspect of minstrelsy is to miss its historical and cultural meaning to a small extent. On a subconscious level, it may have underscored the inherent malleability of regulating racial categories. It also expressed, through distortion and vile mockery, the value of black culture to the overall American experience. For assimilated “white” people, blackface and minstrelsy served to protect from fears of loss and as an attempt to shore up their power, privilege, and dominant identity. People treasure their own sets of values, modes of living, and social identities, and there may be some insecurity surrounding anything that is different from those standards. Any difference may be construed as a threat to one’s frameworks, a threat that would undermine the security that their social identities and norms provide. Upon hearing of the event, chancellor Marye Anne Fox sent a message to the entire campus community. Many questions remain in the “face” of clearly racist past behavior from our elected officials, from Greek-letter societies, and others – famous and not. Who among us has nothing to repent for? Who has never said or done something past that they wish today they hadn’t done? What must anyone do and how long must one walk the path of righteous repentance to be forgiven and to (re)gain our trust? On the positive end of the spectrum, the allegations and admissions by the current Virginia Governor and Attorney General once again lift the rug on the filth of white supremacy that many have carefully swept under for it for far too long.